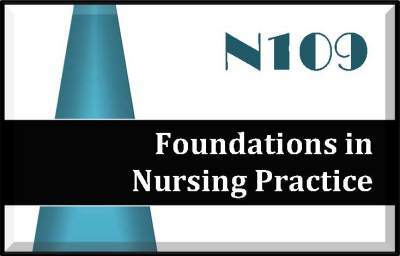 The Foundations in Nursing Practice exam focuses on the nursing process, patient centered care & health promotion, pain & comfort, sensory disturbance, chronic illness and end of life care, and basic nursing concepts. The exam is 130 multiple choice questions and you will have 3 hours to complete the exam. Testing is at a Pearson Vue testing center. Each study guide is a PDF document. The study guide portion of the document is 168 pages and loosely follows the content guide outline/syllabus and covers all areas noted.